Smoke is a collection of airborne solid and liquid particulates and gases emitted when a material undergoes combustion or pyrolysis, together with the quantity of air that is entrained or otherwise mixed into the mass. It is commonly an unwanted by-product of fires (including stoves, candles, oil lamps, and fireplaces), but may also be used for pest control (fumigation), communication (smoke signals), defensive and offensive capabilities in the military (smoke screen), cooking, or smoking (tobacco, cannabis, etc.). It is used in rituals where incense, sage, or resin is burned to produce a smell for spiritual purposes. Smoke is sometimes used as a flavoring agent, and preservative for various foodstuffs. 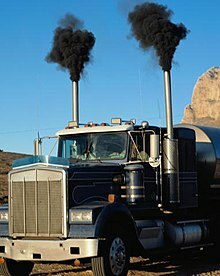 Smoke is also a component of internal combustion engine exhaust gas, particularly diesel exhaust. Cigarette smoke is a major modifiable risk factor for lung disease, heart disease, and many cancers. Smoke can also be a component of ambient air pollution due to the burning of coal in power plants, forest fires or other sources, although the concentration of pollutants in ambient air is typically much less than that in cigarette smoke. One day of exposure to PM2.5 at a concentration of 880 μg/m3, such as occurs in Beijing, China, is the equivalent of smoking one or two cigarettes in terms of particulate inhalation by weight. The analysis is complicated, however, by the fact that the organic compounds present in various ambient particulates may have a higher carcinogenicity than the compounds in cigarette smoke particulates. Secondhand tobacco smoke is the combination of both sidestream and mainstream smoke emissions from a burning tobacco product. These emissions contain more than 50 carcinogenic chemicals. 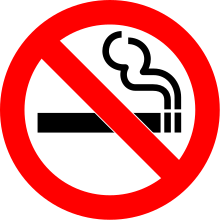 According to the Surgeon General's 2006 report on the subject, "Short exposures to secondhand [tobacco] smoke can cause blood platelets to become stickier, damage the lining of blood vessels, decrease coronary flow velocity reserves, and reduce heart variability, potentially increasing the risk of a heart attack". The American Cancer Society lists "heart disease, lung infections, increased asthma attacks, middle ear infections, and low birth weight" as ramifications of smoker's emission. As early as the 15th century Leonardo da Vinci commented at length on the difficulty of assessing smoke, and distinguished between black smoke (carbonized particles) and white 'smoke' which is not a smoke at all but merely a suspension of harmless water particulates. "Smoke" . Encyclopædia Britannica. 25 (11th ed.). 1911. ^ The Virginia Journal of Science. Virginia Academy of Science. 1976. ^ Lee, C.C. (1 January 2005). Environmental Engineering Dictionary. Government Institutes. p. 528. ISBN 9780865878488. Retrieved 22 July 2014. ^ Carlone, Nancy (2009). Nancy Caroline's Emergency Care in the Streets, Canadian Edition. Burlington, Massachusetts: Jones & Bartlett Learning. pp. 20–28. ISBN 9781284053845. Retrieved 22 July 2014. ^ a b Mauseth, James D. (1991). Botany: An Introduction to Plant Biology. Burlington, Massachusetts: Jones & Bartlett Learning. p. 234. ISBN 9780030938931. Retrieved 22 July 2014. ^ a b c Reuter, M.A. ; Boin, U.M.J. ; Schaik, A. van; Verhoef, E.; Heiskanen, K.; Yang, Yongxiang; Georgalli, G. (2 November 2005). 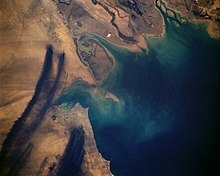 The Metrics of Material and Metal Ecology. Amsterdam: Elsevier. ISBN 9780080457925. Retrieved 22 July 2014. ^ a b c Fardell, P.J. (1 January 1993). Toxicity of Plastics and Rubber in Fire. iSmithers Rapra Publishing. ISBN 978-1-85957-001-2. Retrieved 22 July 2014. ^ Moldoveanu, S.C. (11 November 1998). Analytical Pyrolysis of Natural Organic Polymers. Elsevier. pp. 152, 428. ISBN 9780444822031. Retrieved 2014-11-20. ^ Moldoveanu, Serban (16 September 2009). Pyrolysis of Organic Molecules: Applications to Health and Environmental Issues. Elsevier. p. 643. ISBN 978-0444531131. Retrieved 2014-11-20. ^ Staff writer (1892). A dictionary of the coal tar colours. Heywood and Co. p. 8. ISBN 978-1409701699. Retrieved 2014-11-20. ^ Fire, Frank L. (2009). The Common Sense Approach to Hazardous Materials. Fire Engineering Books. p. 129. ISBN 978-0912212111. Retrieved 2014-11-20. ^ Oldfield, F.; Tolonen, K. & Thompson, R. (1981). "History of Particulate Atmospheric Pollution from Magnetic Measurements in Dated Finnish Peat Profiles". Ambio. 10 (4): 185. JSTOR 4312673. ^ Lanci, L.; Kent, D. V. (2006). "Meteoric smoke fallout revealed by superparamagnetism in Greenland ice". Geophys. Res. Lett. 33 (13): L13308. Bibcode:2006GeoRL..3313308L. doi:10.1029/2006GL026480. ^ Suavet, C.; Gattacceca, J.; Rochette, P.; Perchiazzi, N.; Folco, L.; Duprat, J.; Harvey, R. P. (2009). "Magnetic properties of micrometeorites". J. Geophys. Res. 114: B04102. Bibcode:2009JGRB..11404102S. doi:10.1029/2008JB005831. ^ a b c Mark, James E. (2006). Physical properties of polymers handbook. Springer. ISBN 978-0-387-31235-4. ^ "Organic Speciation International Workshop Synthesis_topic7". Wrapair.org. Retrieved 2010-02-19. ^ Krevelen, D.W. van; Nijenhuis, Klaas te (2009). Properties of Polymers: Their Correlation with Chemical Structure; Their Numerical Estimation and Prediction from Additive Group Contributions. Elsevier. p. 864. ISBN 978-0-08-054819-7. ^ Pope III, C. Arden; et al. (November 2011). "Lung Cancer and Cardiovascular Disease Mortality Associated with Ambient Air Pollution and Cigarette Smoke: Shape of the Exposure–Response Relationships". Environ Health Perspect. 119 (11): 1616–21. doi:10.1289/ehp.1103639. PMC 3226505. PMID 21768054. ^ St Cyr, MD, Richard. "Is PM2.5 From Air Pollution The Same As From Smoking?". My Health Beijing. Retrieved 16 September 2015. ^ Cupitt, Larry T.; et al. (October 1994). "Exposure and risk from ambient particle-bound pollution in an airshed dominated by residential wood combustion and mobile sources". Environ Health Perspect. 102 (Suppl 4): 80–83. doi:10.1289/ehp.94102s475. PMC 1566933. PMID 7529707. ^ General, Surgeon. "The Health Consequences of Involuntary Exposure to Tobacco Smoke: A Report of the Surgeon General" (PDF). U.S. Department of Health and Human Services, Centers for Disease Control and Prevention, National Center for Chronic Disease Prevention and Health Promotion, Office on Smoking and Health. Retrieved 2017-02-27. ^ "Secondhand Smoke". American Cancer Society. Retrieved 2011-01-11. ^ Sorensen, Roy (2016). A Cabinet of Philosophical Curiosities: A Collection of Puzzles, Oddities, Riddles, and Dilemmas. Oxford University Press. p. 89. ISBN 978-0190468637. Retrieved 15 March 2017. ^ Watson, Donna S. (8 March 2010). Perioperative Safety. Amsterdam, Netherlands: Elsevier Health Sciences. ISBN 978-0-323-06985-4. Retrieved 23 August 2014. ^ National Academies (1 January 1983). Polycyclic Aromatic Hydrocarbons: Evaluation of Sources and Effects (Report). National Academies. p. 4. Retrieved 23 August 2014. ^ Harrison & others, Roy M (26 August 2013). "An evaluation of some issues regarding the use of aethalometers to measure woodsmoke concentrations". Atmospheric Environment. 80: 540–548. Bibcode:2013AtmEn..80..540H. doi:10.1016/j.atmosenv.2013.08.026. Retrieved 20 March 2015. ^ Mohagheghzadeh, Abdolali; Faridi, Pouya; Shams-Ardakani, Mohammadreza; Ghasemi, Younes (2006). "Medicinal smokes". Journal of Ethnopharmacology. 108 (2): 161–84. doi:10.1016/j.jep.2006.09.005. PMID 17030480.